Jim Geraghty of National Review and Greg Corombos of Radio America congratulate Benjamin Netanyahu on winning his fifth election for Prime Minister of Israel and hope the warm relations between the country and the US will continue. They also look forward to the investigation into how the Russian probe began after Attorney General William Barr promised an inquiry into the matter while testifying before Congress. And they worry about poor Republican messaging after most of the country thinks the tax cuts hurt them because they got a small refund this year, despite the significant decrease in money being withheld from paychecks in the first place. The Hottest Tax Ideas on the Left Are Really Bold. Does It Matter That They’re Also Really Bad? Jim Geraghty of National Review and Greg Corombos of Radio America applaud Oregon Senator Jeff Merkley’s decision to not run in 2020 but ask if his announcement was really necessary since very few Americans have any idea who he is. They also take a deep breath of fresh air as Texas Rep. Dan Crenshaw gives a clear and calm defense of conservative principles that is often missing from our public dialogue. And Jim notes the Clinton era ends in a whimper as Hillary officially states that she will not run for president in 2020. Jim Geraghty of National Review and Greg Corombos of Radio America welcome the news that tax refunds are now slightly outpacing the amounts issued last year by the IRS. They also examine the record of the latest Democrat to run for president – former Colorado Gov. John Hickenlooper – and whether he has any path to victory. And they get a kick out of New York Sen. Gillbrand insisting she’s not a flip-flopper after running for Congress as a moderate Democrat and now running for president as a ardent progressive. Jim Geraghty of National Review and Greg Corombos of Radio America applaud the Washington Post for calling out California Sen. Kamala Harris for her absurd contention that smaller tax refunds mean you’re paying more in taxes. They also play the entire insane questioning of longtime foreign policy official Elliott Abrams by Minnesota Rep. Ilhan Omar and marvel at her ignorance of U.S. history and bizarre badgering of the witness. And they get a kick both out of Senate Majority Leader Mitch McConnell planning a floor vote on the Green New Deal and bill sponsor Ed Markey fuming that Republicans are going to hold a vote on his legislation. In my lastcolumn, I explained how Senator Elizabeth Warren’s wealth tax violates well-established constitutional limits on income and transfer taxes. 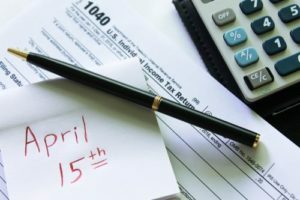 Ever since the Sixteenth Amendment legalized the income tax, all taxes on income have been based on some fraction of the amount earned within a given year. And all taxes on capital are imposed only once, namely at their transfer during life or upon death. 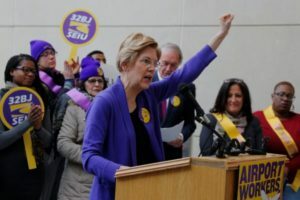 In contrast, the Warren wealth tax would be imposed annually on all forms of wealth at rates that start at 2 percent for households whose net worth is between $50 million and $1 billion, and 3 percent for households who hold amounts of wealth in excess of $1 billion. The tax applies in both rich and lean years, whether a person makes or loses money. 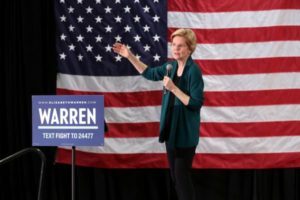 To defend this dubious scheme on economic grounds, Warren, now a presidential aspirant, relies on a letter prepared by two prominent economists from Berkeley, Emmanuel Saez and Gabriel Zucman, both experts on the economics of inequality. Indeed, it is just there that the problems begin, for any fixation with equality or, as Saez and Zucman call it, equitable growth, rests on shaky premises. Nearly doubling top tax rates is hardly a risk-free policy proposal. Of course that is not the impression being given by some policymakers pushing the idea. But even a cursory survey of economic opinion reveals big tax hikes come with trade-offs, just like pretty much any other policy idea. 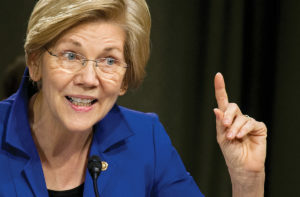 As part of her populist presidential campaign, Senator Elizabeth Warren has unveiled a proposal for an annual wealth tax of 2 percent for ultra-rich families whose net worth is between $50 million and $1 billion. That tax would increase to 3 percent for families whose net worth exceeds $1 billion. The tax is on top of many other taxes to which such a family would be subject, including, presumably, the progressive ideal of a 70 percent income tax as well as state and local taxes. The wealth tax would even apply to people whose net worth has declined during the past year so long as they remain above the stated threshold. Cumulative taxes could easily exceed 100 percent of income. That result is not an unanticipated bug but rather an essential feature: Warren wants to mandate greater income equality through tax policy, even if it means leveling down, not up. In a future column, I shall address the economic ramifications of this proposal. But for now, I turn to the question of the constitutionality of this novel wealth tax. On that topic, Senator Warren offers in support two short letters signed by sixteen prominent American constitutional law scholars that vouch for the constitutionality of her plan. Sen. Elizabeth Warren says she wants “billionaires to stop being freeloaders.” It’s a statement akin to the idea that billionaires need to “give back” to society. Which is not how I immediately think about the wealth inequality issue. Surely Microsoft co-founder Bill Gates didn’t begin to “give back” or generate value for society only when he began “giving back” via the Gates Foundation to boost education and reduce global poverty. Society benefited from his role in revolutionizing home computing, generating massive wealth for retirement plans everywhere, and creating hundreds of thousands of jobs over the decades. Oh, and Gates became superrich in the process. And he should pay taxes. Lots of them. Does he or other wealthy Americans pay anywhere near enough? Warren and many Democrats don’t seem to think so, (although paying for new spending does seem to be the primary concern here). 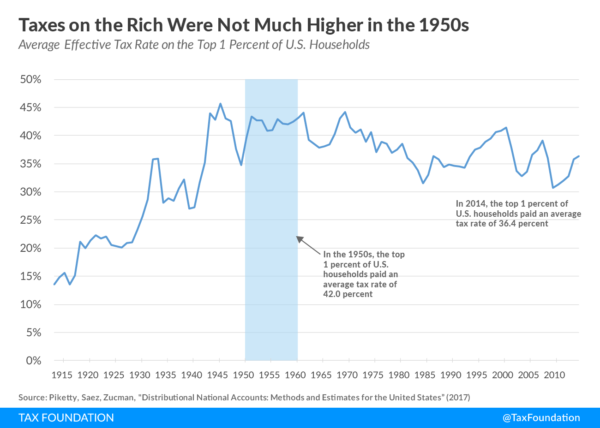 Thus the talk of a wealth tax or a higher top income tax rate. There’s less talk on the left, however, of possible tradeoffs from such ideas. A wealth tax would certainly be a theoretically powerful — though difficult to administer and possibly unconstitutional — way to break up or diminish concentrated wealth. (Many nations that have tried them have since abandoned them.) But there is another side of the story. 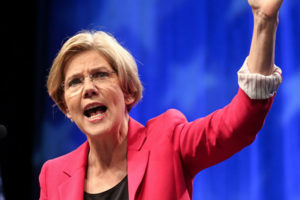 My AEI colleague Alan Viard notes that wealth taxes of the sort Warren advocates “would be a drain on the pool of American savings, [which] finance the business investment that in turn drives future growth of the economy and living standards of workers.” Something to consider at a time when the American economy faces historically low economic growth due to demographics and low productivity. Alexandra DeSanctis of National Review and Greg Corombos of Radio America enjoy watching Howard Schultz and Elizabeth Warren trade insults over Warren’s proposed wealth tax and shudder to think that Schultz might be the most sensible liberal considering a 2020 presidential run. They also slam Kamala Harris for suggesting that lawmakers who don’t support gun control don’t care about the victims of mass shootings and contending that if Republicans saw photos of murdered children that they would vote differently. And they laugh and cringe as the chairwoman of a California State Senate committee bans the use of gendered pronouns in committee – and then proceeds to violate her own rule over and over again. Jim Geraghty of National Review and Greg Corombos of Radio America think President Trump did alright in his speech and agree that his presentation was better than the stiff stares of Chuck Schumer and Nancy Pelosi. They also shake their heads in wonder as more Democrats embrace huge tax increases and government-run health care and Jim breaks down the truly radical ideas contained in Alexandria Ocasio-Cortez’s Green New Deal. And speaking of the new congresswoman, Jim unleashes a fantastic rant after Ocasio-Cortez suggests on national television that the people trying to enter the U.S. illegally are more American than people who want a border wall. It now seems there’s going to be a national conversation about whether top federal tax rates should be dramatically higher. And for that, you can partially credit first-term House member Alexandria Ocasio-Cortez — as well as the extreme media attention given to her every policy utterance. But only partial credit here. At a time of a) high national debt that’s heading even higher, and b) increased inequality — including the creation of some truly massive personal fortunes — it’s a discussion that was probably inevitable. Jim Geraghty of National Review and Greg Corombos of Radio America are grateful to see House Democrats revealing their real goals right from the start – impeachment, huge tax increases, abolishing the electoral college – and hope Americans see what they’d be getting if Democrats also controlled the Senate and the White House. As the partial government shutdown creeps towards three weeks, some conservatives are concluding that because their lives haven’t changed much, the impacted agencies aren’t really needed. Jim explains why that conclusion is badly misguided. And they throw up their hands as the mainstream media concoct the narrative that Republicans condemned Alexandria Ocasio-Cortez for dancing in a video, when only one anonymous Twitter user lashed out and any conservative who weighed in on the matter defended the congresswoman. 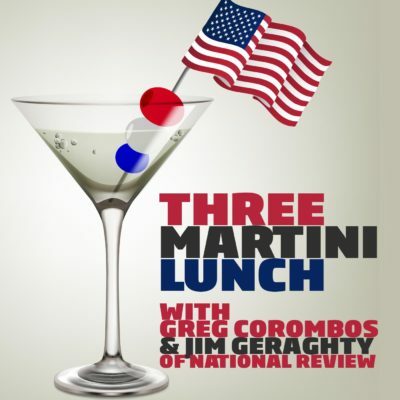 Jim Geraghty of National Review and and Greg Corombos of Radio America find themselves drowning in crazy martinis again today. They slap their foreheads as a new GOP congressman from Tennessee – who is also a doctor – appears to tell a constituent that he’s hesitant to accept the government’s denial that childhood vaccinations cause autism and says he thinks the Centers for Disease Control have “fraudulently managed” data on the issue. They also rub their hand with glee at the possibility of political inroads with young people as Democratic regulators in California consider a tax on text messaging and then consider some far more annoying aspects of modern communication that ought to be taxed. And they can only smile as Nancy Pelosi somehow jumps on the bandwagon for term limits in the Democratic leadership in exchange for four more years as Speaker of the House. The Daily Standard Podcast is sponsored by ExpressVPN. Every day you use the internet without ExpressVPN, you’re putting sensitive information at risk. Don’t put this off. 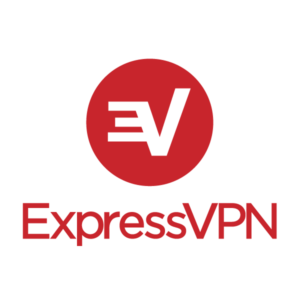 Protect your online data with ExpressVPN today! Find out how you can get three months free, go to ExpressVPN.com/Standard. That’s three months free with a 1-year package.